When you have an AC problem, we understand how uncomfortable and inconvenient the issue can be, which is why we strive to arrive at your location as quickly as possible. We make it a point to only hire qualified and experienced technicians, which means you can trust that when you hire A Quality Home Service, you will have an entire team of factory-certified professionals on your side. We provide superior results and efficient labor. From air conditioning installation to air conditioning repairs, we have you covered. We are proud to provide superior air conditioning service in Thornton, as well as across Denver and the Front Range. We are the experts and you can trust us to take care of you. Backed by many years of experience, we provide superior AC service to both commercial and residential properties through the Denver metropolitan area. Whether you need a new air conditioning unit installed or just a simple fix, you can trust that we do the right thing for you. If a repair is all it takes to get your system back up and running, that is all we will do. And if you need a new installation, we can do that too. 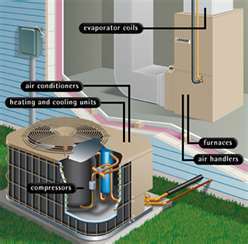 Frozen Coils: When your air conditioner’s coils freeze over, you have an issue with your unit’s airflow. We will diagnose the problem to determine if it is caused by dirty air filters, obstructed ductwork, or even low refrigerant levels. Sensor Failures: When your thermostat sensor no longer operates properly, your AC unit may cycle constantly or operate erratically. We can quickly determine if the sensor simply needs adjustment or if a replacement sensor is in order. Refrigerant Leak: A common air conditioning issue that arises is a low level of refrigerant. This could be due to the unit being undercharged at installation, or it could be due to a leak. If your AC unit is leaking it is extremely important to schedule repairs with a professional. For one thing, your air conditioner will not operate efficiently with the wrong level of refrigerant. Leaking refrigerant is also damaging to the environment. Compressor Or Fan Failure: Your air conditioning system relies upon the operation of the compressor and fan. Without either one of these components, your air conditioner will no longer operate. If your AC system is no longer operating, it could be time to replace your compressor or fan. Electrical Control Breakdown: Sometimes the reason your AC system no longer functions is due to an electrical failure. Your electrical control system can wear down over time due to the frequency with which your AC turns on and off. Your electrical connections and wiring should be inspected by a trained HVAC professional during your AC tune-up. These are just a few of the many air conditioner repair services we offer. We can assist you with a wide array of repairs on any make or model. With years of experience in the HVAC industry, we have seen it all and can offer you the best solutions at the most affordable rates. When repairs will not suffice, air conditioner replacement may need to be considered. If you have a failing air conditioning system or you simply wish to upgrade to a more energy-efficient model, we can assist you. Working with homeowners throughout the Denver area, our goal is to make sure only the most reliable systems get installed. Before you decide upon a new air conditioner system, we will sit down and discuss your needs with you. Our HVAC technicians can direct you towards the makes and models that not only provide the features you are looking for, but that also remain within the budget that you set. If you are in need of air conditioner replacement, talk to an HVAC tech today. Because we believe that maintenance is the best form of protection, we also offer our comprehensive air conditioning maintenance programs to keep your system running throughout the year. Providing annual start-up and shutdown services for both residential and commercial facilities, we reduce the risks associated with running such expensive equipment. 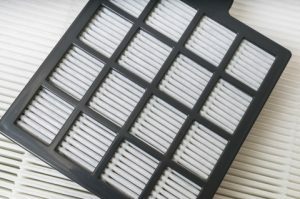 Even simple tasks, like replacing your air filter, can save you countless dollars down the road in repairs and inefficient operation. Our goal is to ensure you enjoy year-round comfort in your home. Let us help keep you cool. Call us to take care of everything AC-related for you. We look forward to being your choice for air conditioning service in Thornton and across the Denver Metro and Front Range area.